Guinness Is the Latest Beer to Boycott N.Y.’s St. Pat’s Parade, but How Much Does It Matter? With its decision yesterday to withdraw support of today’s New York St. Patrick’s Day parade, beer giant Guinness became the latest beer brand to pull its support of the legendary parade, which draws about a million spectators and 200,000 marchers to Manhattan each year. Both Heineken and Boston Beer (maker of the popular Samuel Adams brand) recently announced that they would be sitting on the curb this year, too. The controversy, in case you haven’t been reading the news for the past 20 years or so, revolves around Boston and New York parade organizers’ refusal to allow gay and lesbian groups to march while carrying any banners or signs that identify them as such. Boycotts of the St. Patrick’s Day Parade have been making the news for years now. Less reported is the curious phenomenon of how these headline-making boycotts were apparently triggered by smaller boycotts and have in turn led to sympathy boycotts and counter-boycotts. Confused? Get ready. The story’s roughly the same in New York. 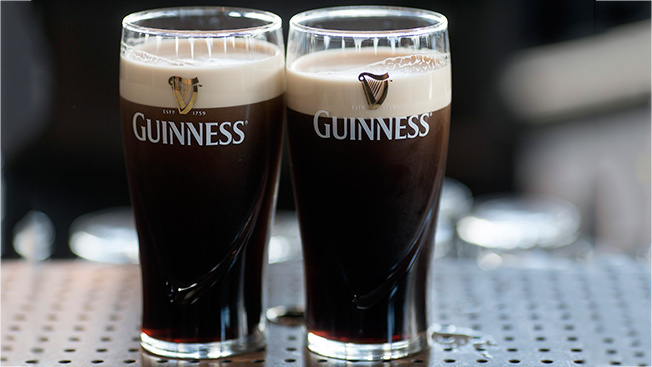 Guinness’ boycott of the mammoth parade didn’t just come on the heels of two competing brands’ decisions to boycott; it came after the West Village landmark the Stonewall Inn announced that it would boycott Guinness. As the site of the famous 1969 Stonewall Riot (widely viewed as the genesis of the gay rights movement in America), Stonewall doesn’t just serve up beer but considerable media influence. In solidarity boycotts, other popular gay bars—Pieces Bar and Hardware Bar—announced their own Guinness boycotts. But Guinness’ announcement that it would boycott the New York parade immediately reversed the bar boycotts. New York City Council Speaker Melissa Mark-Viverito has gone on the record praising the three major beer brands for their boycotts (and, by implication, the various local bars for ending theirs): “I want to commend Guinness, Sam Adams and Heineken for taking a stand on behalf of the LGBT community who should be able to march openly and proudly,” she said. Setting aside issues of human rights and political viewpoints, do these boycotts really amount to anything for these brands? Well, yes and no. St. Patrick’s Day is, fiscally speaking, a big holiday. According to statistics from the National Retail Federation and IBISWorld, Americans will spend $4.8 billion on it, and an estimated $255 million of that will be spent on beer. One in three revelers plan to drop into a bar sometime today. That means beer brands aren’t only contending with their public images, but no doubt worrying over whether drinkers will pass over their brand for another one. Another way of putting it: If a consumer supports or boycotts a beer brand today over its support or boycott of the St. Patrick’s Day parade, he’ll probably drink the same beer tomorrow, no matter what.